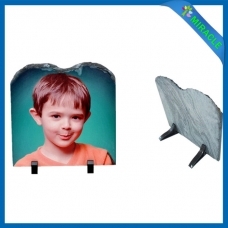 Sublimation rock is one kind of polished natural Metamorphic Rocks, specially designed for photo printing. It is available for flat clamshell press machine and 3D vacuum het press machine and very easy to operate. You personalized Photos printed on the rocks with natural texture are different from the traditional photos, very beautiful and outstanding. 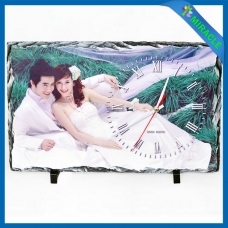 This sublimation rock is perfect for decoration at home and office, a best choice as gift for friends as well. Sublimation rock sh39 is a dye-sublimation substrate specifically designed to frame and enhances full color photographs in a unique and natural presentation. sublimation rock 38 is featured in smooth and delicate ceramics, coating uniformity and stability, reater sublimation color release, good transfer effect, customized accepted ( price according to the design and quantity ). Sublimation rock sh36 is an amazingly unique and personalized gift. 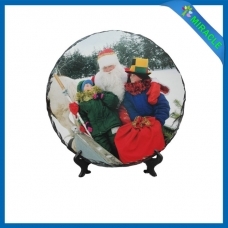 Your designed photo is encased in a clear sublimation rock forever. The sparkle of rock and memories will be with you and your loved ones for life time. Your pattern is heat transferred on sublimation rocks mirroredly, so it is visible vividly. 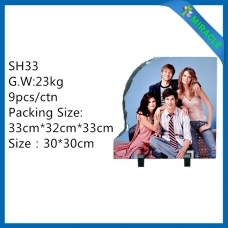 Sublimation rock sh35 photo frames process to new sublimation material,the edge of rocks are different in shapes, now you could use our sublimation technology which could printing any photos you prefer on rocks, just few minutes beautiful pattern can be heated transfer on sublimation rocks, which is a popular gift for friends, lover, family and so on. 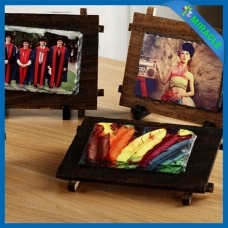 We believe that sublimation rock photo frames will become hot selling products for gift markets. 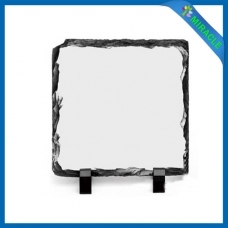 Sublimation rock sh34 slate plaques are an exciting and unique way to create that memorable gift. Each rock has its own natural imperfections making it a special one-of-a-kind photo gift.These types of sublimation rocks come in a variety of shapes and sizes and include a black plastic display stand. They are ideal for cherished images,wedding photo,new baby photos,that favorite vacation,"the great outdoors" or any special occasion to remember. Sublimation rock process to new sublimation material,the edge of rocks are different in shapes, now you could use our transfer technology which could print any designed pattern you like on rocks, just few minutes you could get a beautiful gift to your friends, family and so on. 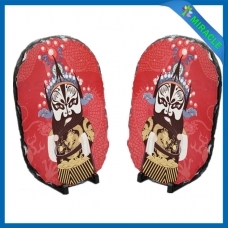 We trust this rock will become hot selling products for gift markets. Sublimation Photo Slate rock is a dye-sublimation substrate specifically designed to frame with full color photographs in a unique and natural shown appearance. With prefect defined shape, Sublimation Photo Slate rock is handcrafted and features chiseled beveled edges to allow any image to flow beautifully on its extremely flat imprint surface. 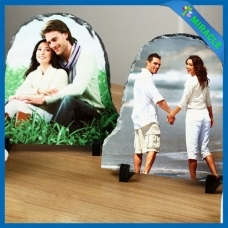 This personalized and beautiful sublimation Photo Slate rock is very suitable for home or office decoration, a best choice as a gift. Sublimation rock sh30 is a dye-sublimation substrate specifically beautiful frame and strongthen colorful photographs in a unique and natural presentation. 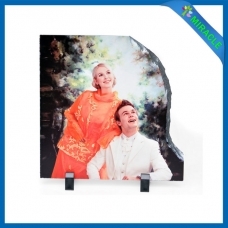 With an luxuriant appearance, every sublimation rock is handcrafted and features chiseled beveled edges to allow any image to flow beautifully on its extremely flat imprint surface. This personalized & beautiful photo rock can apply to decorate at home or office, which is good thing as a present.